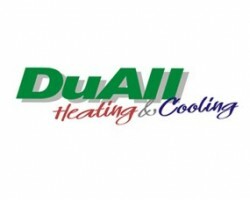 DuAll Heating & Cooling is the local heating and air conditioning service provider for the Bolingbrook, IL area. Give us a call to schedule a service with one of our trusted professionals. We provide quality heating and cooling services to the residents of Bolingbrook and the surrounding area, including air conditioning repair, maintenance, installation and replacement. We also provide quality heating and indoor air quality services. With our 24 hour emergency services we ensure that we are available whenever you need us. Make sure you give us a call today!